Waked very betimes and lay long awake, my mind being so full of business. Then up and to St. James’s, where I find Mr. Coventry full of business, packing up for his going to sea with the Duke. Walked with him, talking, to White Hall, where to the Duke’s lodgings, who is gone thither to lodge lately. I appeared to the Duke, and thence Mr. Coventry and I an hour in the Long Gallery, talking about the management of our office, he tells me the weight of dispatch will lie chiefly on me, and told me freely his mind touching Sir W. Batten and Sir J. Minnes, the latter of whom, he most aptly said, was like a lapwing; that all he did was to keepe a flutter, to keepe others from the nest that they would find. He told me an old story of the former about the light-houses, how just before he had certified to the Duke against the use of them, and what a burden they are to trade, and presently after, at his being at Harwich, comes to desire that he might have the setting one up there, and gets the usefulness of it certified also by the Trinity House. After long discoursing and considering all our stores and other things, as how the King hath resolved upon Captain Taylor1 and Colonell Middleton, the first to be Commissioner for Harwich and the latter for Portsmouth, I away to the ‘Change, and there did very much business, so home to dinner, and Mr. Duke, our Secretary for the Fishery, dined with me. After dinner to discourse of our business, much to my content, and then he away, and I by water among the smiths on the other side, and to the alehouse with one and was near buying 4 or 5 anchors, and learned something worth my knowing of them, and so home and to my office, where late, with my head very full of business, and so away home to supper and to bed. 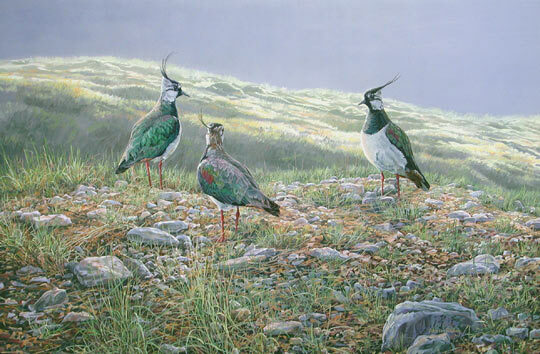 In defence of the lovely Lapwing. When danger threatens their ground-built nest they try to draw attention away from it by feigning a broken wing. Sends a report of naval service and incidents "in the Straights". Details, at great length, particulars of a negotiation, and treaty of Peace, with the Government of Algiers. Adds particulars of a conflict between Turks & Moors, on the one part, and the French, on the other, fought upon the Coast, in which the Mahometans were victorious. The expedition of Gigeri [(Djidjelli].. This affair, which ended so disastrously for the French, is mentioned by Pepys (Oct. 11, 1664). Colbert, in his desire to establish French colonies, wished to found one on the Mediterranean coast of Africa. For this purpose the Due de Beaufort, High Admiral of France, took possession, on July 22, 1664, of Gigeri, in the province of Bugia, about forty leagues from Algiers, and he placed a garrison there under the command of Lieut.-Gen. Guadagni. The duke had scarcely retired before the Moors attacked the place in great force, and with such success, that Guadagni considered himself fortunate in evacuating it at all. He embarked on the night of Oct. 29, abandoning his artillery and stores. The regiment of Picardy perished by shipwreck. Go back to the Weblog and Vote for Pepys. Those hellhounds Gaimain and McSweeney are closing in. Samuel Pepys expects every man to do his duty and VOTE. I voted today and tried again, using the usual cyber tricks. Lurkers and Watchers, I know you're out there, thousands of you. Now is the time to step from the shadows and VOTE. No one will ever know you did this thing, voting for Sam. It's all secret, you can do it every day. Go back to the Door and Vote For Sam. "....Waked very betimes and lay long awake, my mind being so full of business....."
Oh Sam, Sam, I know what you mean! I was checking our business bank balance online at 10 to 5 this morning to the dawn chorus of hiccuping friar birds (would much rather have lapwings)having Mild Panic. Sam seems to have held a great deal in his head - I wonder how much was recorded and by whom? How much confidential stuff did only he hang onto? Nowadays we might keep sensitive stuff on password protected server files - in days gone by, there would have safes for the sensitive matter. Did Sam have a safe? "so much still seems undecided' has she named the man yet? Sam and Elizabeth are overjoyed to have taken the lead but they need your vote to keep them there. They are dancing for joy! Warmest congratulations to Australian Susan Junior on her forthcoming nuptials! A.S., I survived it twice (and also twice with my two sons, which was much easier), and I promise you will come away with mostly happy memories. After you have voted, see what Jeannine hath wrought!! She hath created (with a little help from JibJab.com) Sam and Elizabeth dancing for joy!! "the King hath resolved upon Captain Taylor1 and Colonell Middleton, the first to be Commissioner for Harwich and the latter for Portsmouth"
L&M note that now all the royal shipyards (excepting Woolwich and Deptford -- those within walking-distance of London) are provided with resident Navy Commissioners. Pity we never heard how Sam coped with organising a daughter's wedding. One thing's for sure: it was a lot simpler then. I agree: dowries were a complicating factor. I have just been reading Picard's Restoration London which is an easy read and has a section on marriages. On the simplicity side, i was thinking of the actual day - service, reception and so on and it seems that every retailer you mention the W word too adds $200 to any price! Sam seems to go to more funerals and christenings than weddings. And Valentine's Day parties and Twelfth Night feasts seem to be almost greater excuses for expenditure. Nowadays, people (I mean ordinary people not the mega rich who have celebrity-ridden bashes for birthdays) spend most on weddings and 21sts. Well, they do here in Australia. "profit will convert most of them"
Coventry on Mr. Taylor, an able "fanatic," about to be appointed Commissioner for Harwich. Coventry's restoration wit, of course, but also evidence that personal profit was an expected part of a high-ranking government job. The gossip we read here about Batten and others doesn't make Sam a hypocrite, although he too is looking for profit, because it seems to be motivated by a sense of what is defensible profit and what is undefensible greed. Australian Susan, congratulations! As father of the bride this summer I just sat back and wrote checks. No stress. Does there ever coming an endpoint, when one has gossip-complained to the last iota about the shortcomings of one's office-mates and nothing remains to be said? Of course, generally the jerks then do something new and foolish, refueling the verbal equivalent of the perpetual motion machine. "Does there ever coming an endpoint, when one has gossip-complained to the last iota about the shortcomings of one’s office-mates and nothing remains to be said?" I think not Bradford because then a majority of the world's population would have no reason to show up at the office each day as they'd have nothing better to talk about! Actually, I think it all depends on the people. In my past I worked with a horrific gossip and was SO delighted to move on to a new job far away from that person. It's so draining to just hear negative stuff over and over and over again. Life is too short to waste on that kind of activity. If we ever wondered why Pepys was so valued by his peers, he tells us today. In the middle of a busy day he crosses the river, chats to the men who were actually making the anchors, takes one off to the pub, and of course "learned something worth my knowing of them". If you want to know, ask the men who do the job. I doubt the lapwing often went to the pub with a blacksmith. Adding my thanks to Jeannine for her JibJabbery, and my congratulations to Susan for imminent Mother-in-Lawesomeness. Thank you Jeanine! A wonderful item with which to catch up from my Pepysian absence and end my day. Much enjoyment ensued. Also, vote early and often. We hath left McSweeney in the dust and gain upon the Gaiman. "American Gods" - pah, we have Pepysian gods (well, demi-gods, mayhap, to be honest - but they are our demi-gods and we need to support them). "to White Hall, where to the Duke’s lodgings, who is gone thither to lodge lately." He lived at Whitehall in the winter and at St James's in the summer. "at [Batten's] being at Harwich, [he] comes to desire that he might have the setting [a lighthouse] up there, and gets the usefulness of it certified also by the Trinity House." What was the process for dropping anchor in a 16th or 17th century sailing ship? . . P2. Phrases with verbs. a. (a) to cut out work (for a person): to prepare work to be done by a person; to give a person something to do. In later use frequently in pass. Now rare. Perhaps originally with metaphorical allusion to the preparation of fabric to be worked on; see sense 17a. . . 1669 J. Flavell Husbandry Spiritualized i. i. 19 You find in the Word, a world of work cut out for Christians; there's hearing work, praying work, reading, meditating, and self-examining work . .